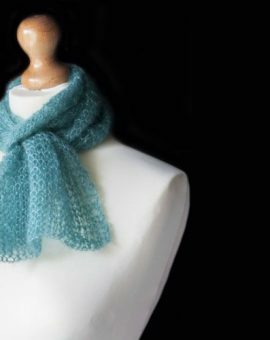 Knitted in Mulberry Silk which was specially hand dyed to order for Baa Baa Brighouse. 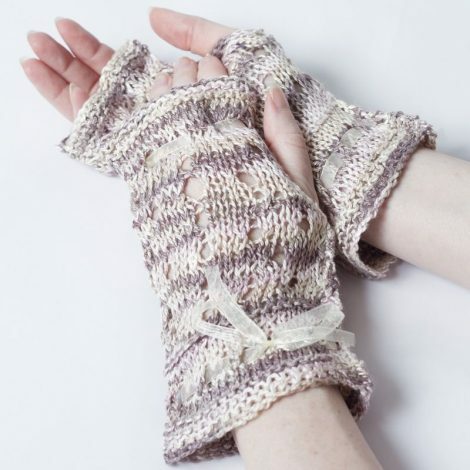 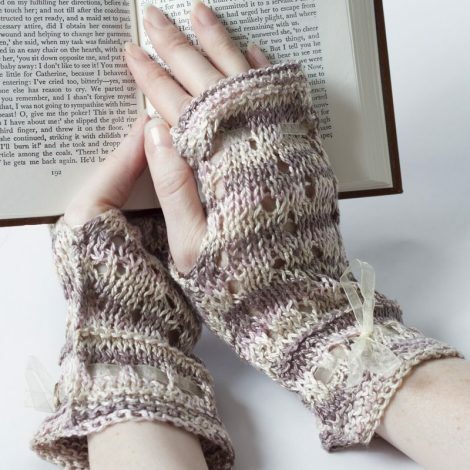 These elegant mitts are super soft, featuring an exclusive Baa Baa Brighouse lace design in tones of cream, gold and chocolate. The mitts are finished with cream organza ribbon at the cuffs and finger edge.